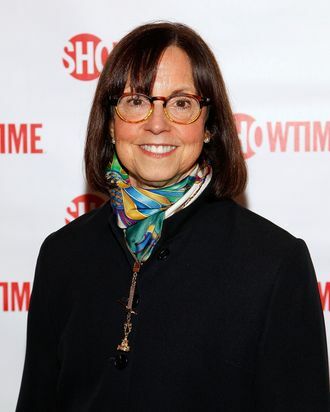 In a poetic twist that follows the departure of multiple senior men who were accused of sexual assault and harassment, 48 Hours senior executive producer Susan Zirinsky will become the first woman to lead CBS News. President and acting CEO of CBS Corp. Joe Ianniello announced the regime change on Sunday evening. Current CBS News president David Rhodes, whom Zirinsky replaces, issued a statement confirming the news. “The new year is a time for renewal, for new goals,” he wrote. “The world we cover is changing, how we cover it is changing — and it’s the right time for me to make a change too.” Rhodes will vacate his position on March 1 and move into the role of senior advisor to Ianniello and the News division. The upheaval at CBS began just over a year ago, after a series of investigative stories about how the network’s stars treated women: first Charlie Rose, following the investigation I co-authored for the Washington Post about eight women accusing him of sexual harassment and assault. Then, CBS Corp CEO Les Moonves and 60 Minutes boss and former network chairman Jeff Fager, after a pair of Ronan Farrow stories in the New Yorker that reported on allegations that Moonves had assaulted and silenced women and that Fager had inappropriately touched women and fostered a hostile environment at the show. Zirinsky is known internally as an energetic 5 a.m. emailer, a quick-talking firebrand and voracious newshound. (She inspired Holly Hunter’s character in Broadcast News, for which she served as a technical advisor and producer. In 1984, prefiguring the workaholic energy of the movie character, she left her City Hall wedding to meet with director James L. Brooks.) In contrast to the more decorous CBS brass, Zirinsky enthusiastically livetweets her shows, all lowercase text speak and fan engagement; she’s so dedicated that she’s escaped into the bathroom at events to livetweet the full hour on her iPad. Several women at CBS have told me they idolize her, and fondly recalled gestures like personal calls and emails. Her staff is fiercely loyal to her. Zirinsky has also racked up award after award, from Peabody to DuPont. But recent blind items and internal gossip have represented her differently: as a tabloid micromanager. Page Six reported that unnamed correspondents told the board they would quit if Zirinsky were named the 60 Minutes head. Zirinsky now faces the choice of who should lead the show, and whether it should keep its vaunted independence from the rest of the news division. In addition to running 48 Hours, Zirinsky has produced primetime specials for big news events and documentaries, including for corporate sibling Showtime. Though she’s worked across the news division, from the morning show to the Evening News, from political coverage out of D.C. to breaking international news, 60 Minutes does not appear on her official bio.